"... Is any side effect or precaution"
There are NO side-effects to using this weight gainer supplement shake. Take 2 full shakes per day with 3-4 real meals to get the best results. "... The Nlarge2 taste better to me. But as far as the results still very good. " "... In my opinion just as good as the original so not sure why they renamed it. Either way, excellent weight gainer and I suggest it to all my hardgainer clients. With about 600 cals with each serving it slows down the metabolism but the 45 grams of protein per serving is fantastic - really helps push the muslce growth and recovery. Most other weight gainer just have calories and carbs and fillers.. this is the best overall mix of ingredients in my opinion and experience." "... My current weight is 63kg, which supplement should I use? I want to gain muscle or weight, thanks!" This is an excellent choice for a weight gainer. 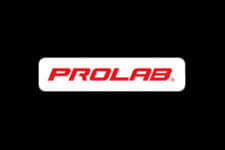 Prolab - N-Large 3 - Bodybuilding Mass Gainer! A true evolution of the original formula that has helped millions with their goals! 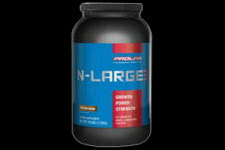 Prolab nutrition has re-formulated their flagship protein, introducing N-Large 3! Based on the NLarge 2 formula, this take weight gain to the next level with strong building blocks to feed and repair like never before. It can be hard to find a weight gainer that is actually effective without having to worry about water and fat gain, well with N-Large 3 you can rest assured you're on your way with adding quality muscle mass with each scoop. Delicious flavors and super simple mixability, N-Large 3 won't disappoint. Look for it in early 2012 and be sure to browse the most trusted reviews right here at fitFLEX - no other destination do it like we do. Take Advantage of the Building Blocks in N-Large 3! Bigger and Badder than Ever - Muscle Growth to the Max!